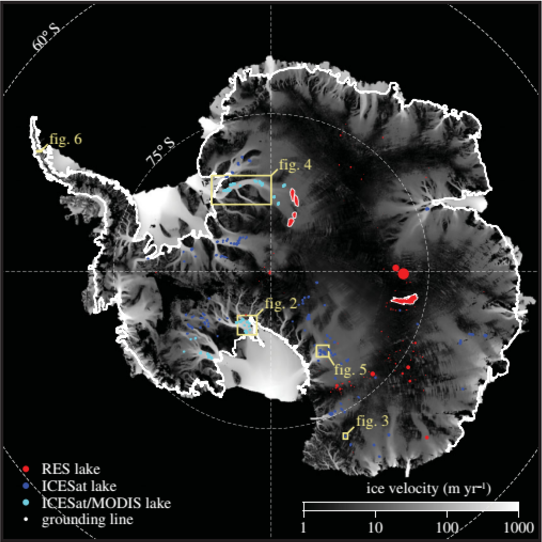 There are 379 subglacial lakes beneath the Antarctic ice sheet that have been inferred through the use of various remote sensing technologies. Through observing the rising and falling of ice surface elevation, researchers have found that 124 of these lakes fill and drain on timescales of months to years. These cascading, active lake systems transfer water between each other, and eventually pour across the grounding line into the sea. 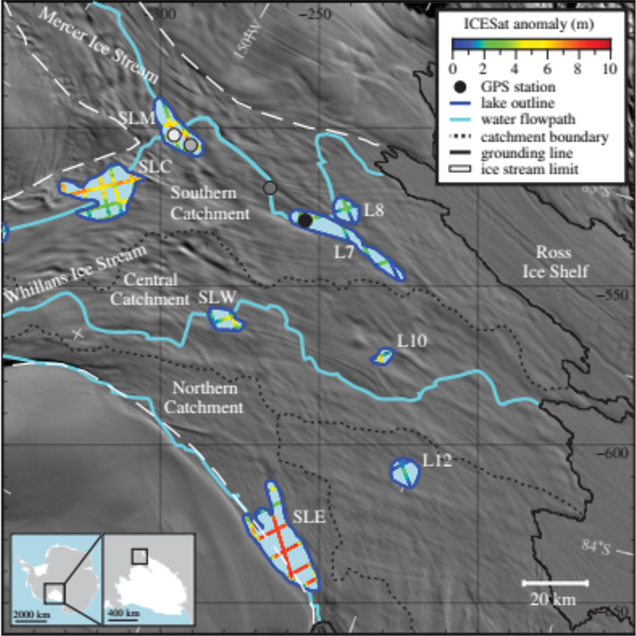 In West Antarctica, eight hydrologically active lakes have been shown to fall within three distinct hydrologic basins downstream of confluence of the Mercer and Whillans ice streams. The Northern Basin rests about 10km from the sea, the Southern Basin lies approximately 160 km inland and the the Central Basin lies between the two, at approximately 60km from the coast. SALSA will shift its focus from the WISSARD project’s study site in the Central Basin, to the more hydrologically active Southern Basin, which includes Mercer Subglacial Lake , one of the largest subglacial lakes on the ~12,400 m2 Whillans Ice Plain. Mercer Subglacial Lake lies below the confluence of the Whillans and Mercer ice streams, making its hydrology distinct within the region. 25 percent of Lake Mercer’s water flows from East Antarctica and the remaining 75 percent comes from West Antarctica. 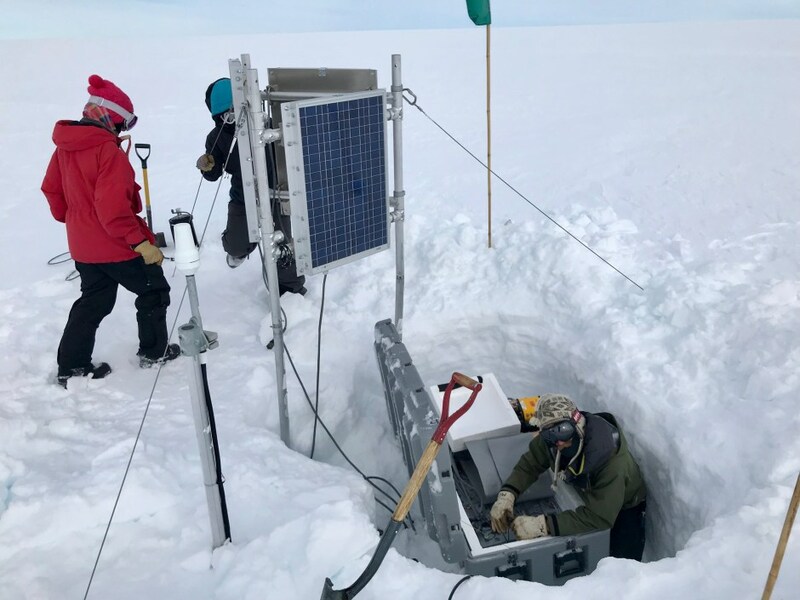 This provides SALSA with the opportunity to study the geochemical composition of two distinct regions, and will be the first ever glimpse into the chemical and biological conditions of East Antarctica. Likewise, Lake Mercer will provide unique information on the history of both the Whillans and Mercer ice streams.